Welcome back to the 3rd installment of 2018‘s October Halloween Horror Movie Extravagnza! 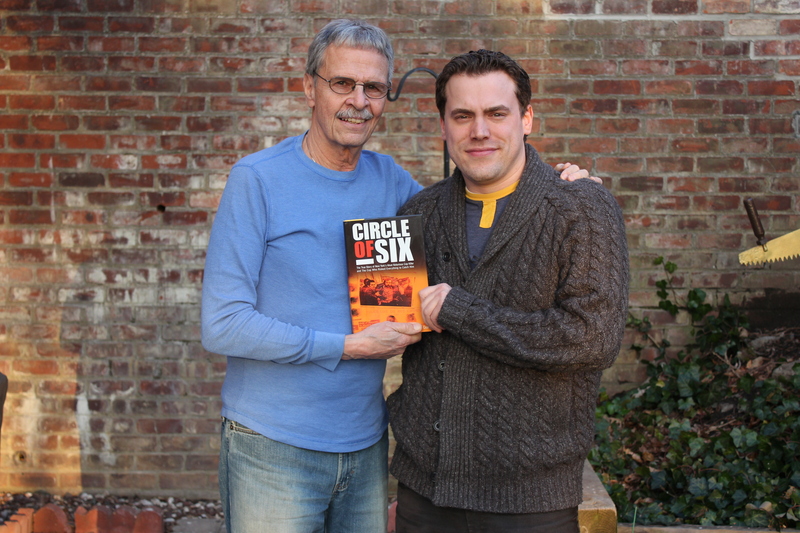 This go-round Dion Baia and J. Blake are hitting another movie that has an anniversary! 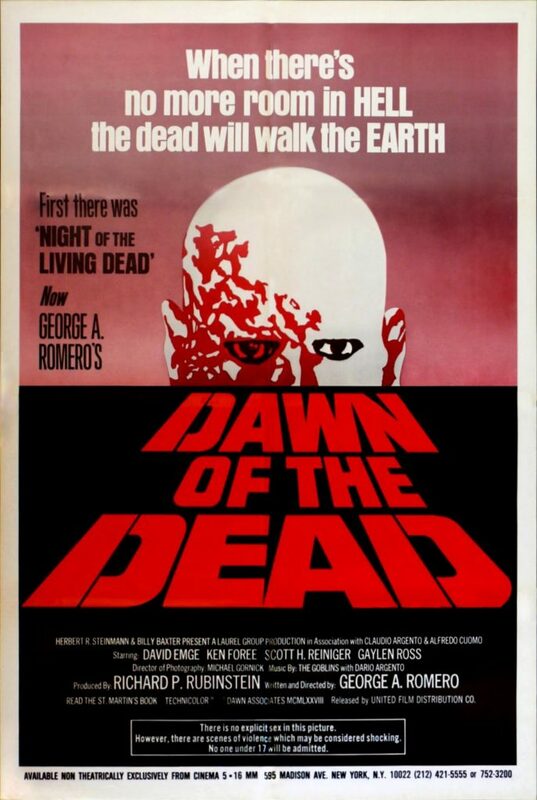 Turning 40 this year, it is the quintessential sequel that literally helped kick-start an entire subgenre, domestically and overseas in Italy, the George A. Romero cult classic, Dawn of the Dead from 1978. The boys are on a timetable this week as they break down this massive topic, decimating the various cuts of the film, and the Dario Argento influence–like with the cult Italian band Goblin. Blake and Dion discuss the impact the Romero “dead films” had on the industry. They both reminisce about their personal histories with Dawn, as well as the other movies in Romero‘s catalog. So grab your batteries, extra ammo, gasoline and door keys, because we’re all taking a road trip to take shelter in the Monroeville Mall, in this all October Halloween Horror Edition of Saturday Night Movie Sleepovers! And a special thank you to our sponsors this week, TiVo and Simple Contacts! 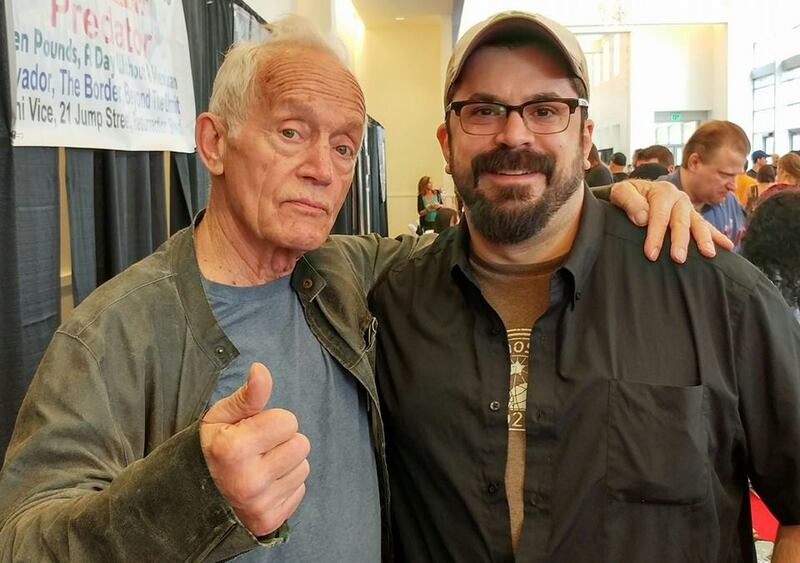 Please go check out J. Blake’s book, Scored to Death: Conversations with Some of Horror’s Greatest Composers and also its companion, Scored to Death: The Podcast, to further explore the interviews Blake did with many of the men involved with Dawn of the Dead, among many others. 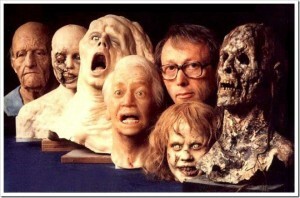 Check out the official website of the (Night of the) Living Dead Museum! Have a look at the Tom Savini book talked about in the podcast, titled Grande Illusions: A Learn-By-Example Guide to the Art and Technique of Special Make-Up Effects From the Films of Tom Savini. Take a look at the classic 1985 documentary that breaks down the making of both Dawn of the Dead, called Document of the Dead, courtesy of YouTube! Welcome back to another installment of Saturday Night Movie Sleepovers! The boys are entering week 2 of their annual SNMS October Halloween Movie Extravaganza, and serendipitously this Friday just happens to be the 13th... so J. Blake and Dion Baia put their heads together and decided to take on one of the most iconic series’ in the Horror genre. And after close examination, they’ve decided on a film they feel most embodies the spirit of that franchise. So the fellas are chatting about a guy named Jason Voorhees, and more specifically Friday the 13th Part VI: Jason Lives, from 1986! 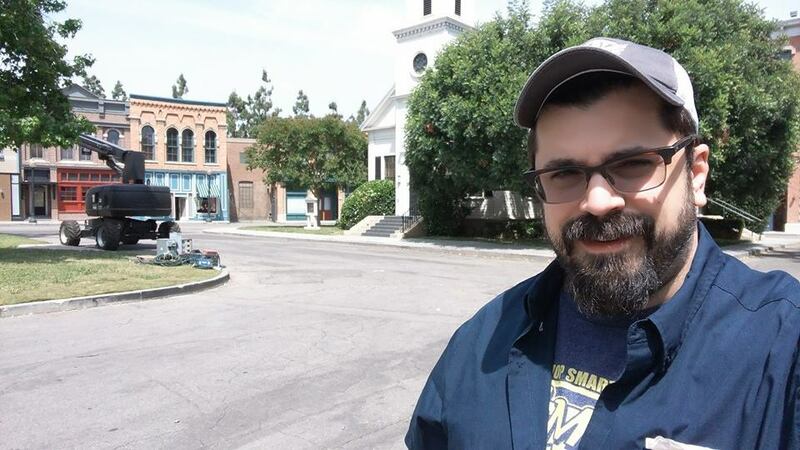 The boys start off by Dion explaining why this series is particularly near and dear to his heart, and his story about his first experience as a child with the Friday the 13th film series in general. They set up this film, Jason Lives, by recapping Part V: The Beginning, and Dion also goes on record to defend that installment, as he and Blake explain why that movie is so important to the fate of Part VI. The guys also lay out all the elements that are introduced in Jason Lives , and how these tropes help set-up the next 6 (or so) films in the series. They get into the history of the character Jason Voorhees, going back to Sean Cummingham‘s original film and sum up the other installments that preceded this one. The lads explain Jason Lives‘ director‘s vision of making this an almost gothic horror film, a kind of homage to the classic Universal and Hammer Horror films of yesteryear. 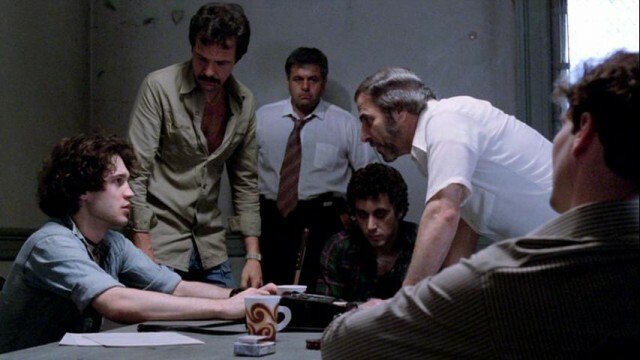 They discuss the trims and extended scenes that were left on the cutting room floor, as well as the reason why there were actually 2 actors appearing as Jason in this Part VI. 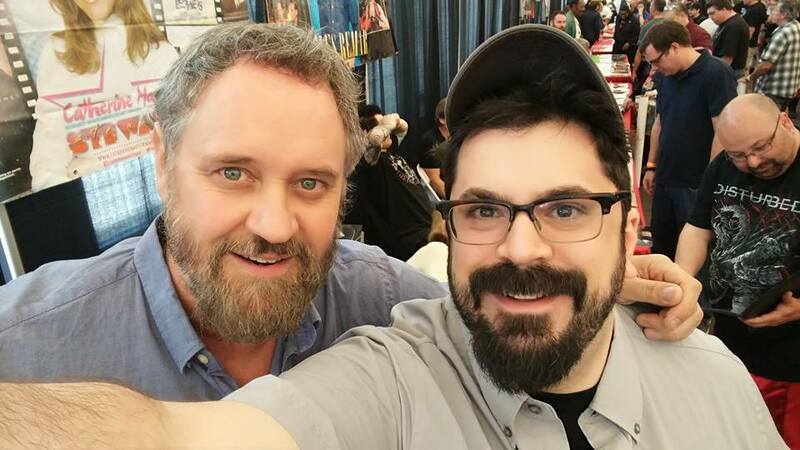 They also chat about the various book tie-ins that expand on Jason’s backstory, as well as the original ending for Jason Lives that introduced Jason’s father, Elias Voorhees, and why it was ultimately cut. 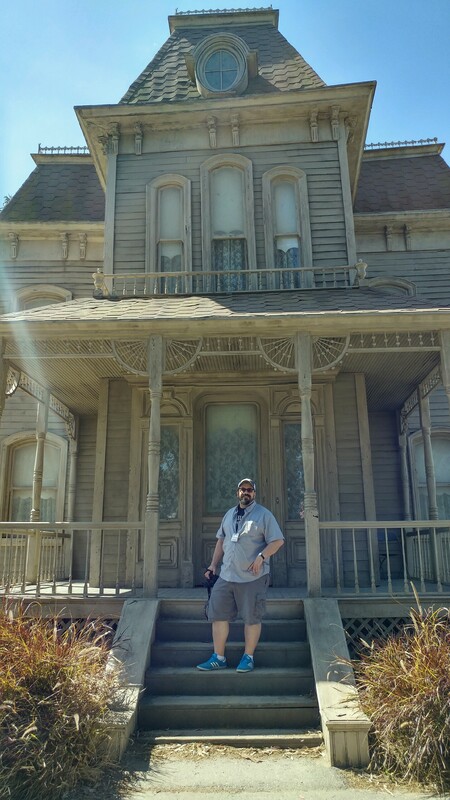 And we also get some insight into the score by way of Blake‘s friend and the film’s composer, Harry Manfredini. 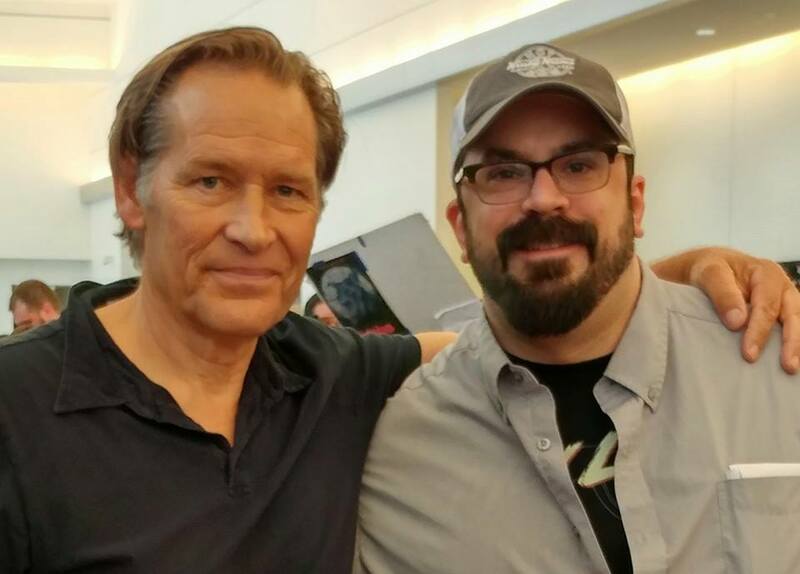 So, what is the speculation of how the creators came up with the first name for the character Tommy Jarvis? Who is clearly the real hero in this story? 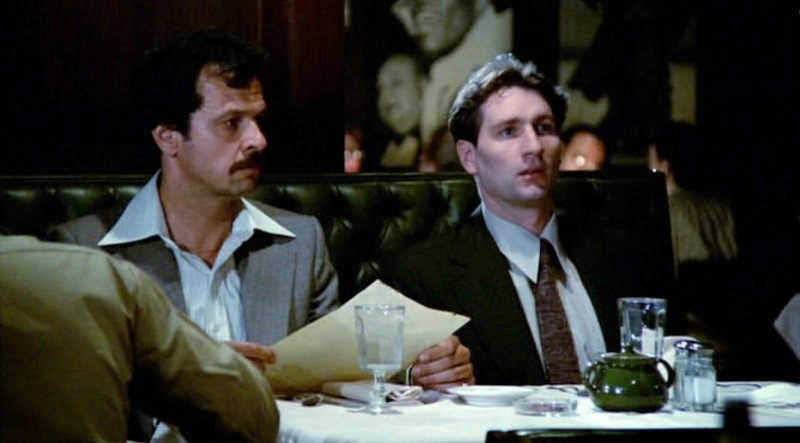 What are the 2 connections this film has to the classic television series Welcome Back, Kotter? And what Jason installment(s) are the boys thinking of turning into a traveling one-man play? Well, make sure you don’t accompany a friend late at night to a spooky cemetery with he/she having the idea to dig up a serial killer (for the obvious fear of accidently reanimating him and inadvertently causing the deaths of scores of other helpless victims), because the boys are laying out a sad, disturbing cautionary tale in this brand new Halloween, Friday the 13th episode of Saturday Night Movie Sleepovers! Check out the original teaser trailer for Jason Lives: Friday the 13th Part VI! Here’s the Alice Cooper music video for his song, He’s Back (The Man Behind the Mask)! Have a look at the original scripted ending, that introduced Jason’s father, Elias Voorhees! 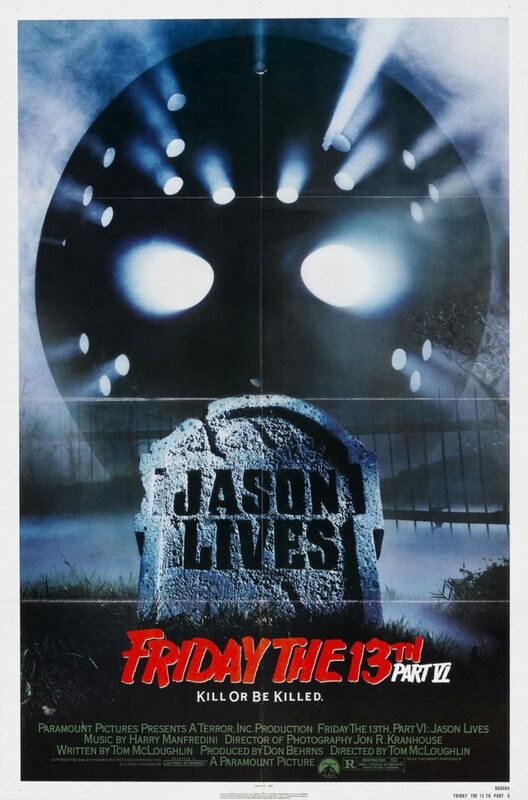 Take a look at all the extended and deleted scenes for Jason Lives! Here is the Jason Voorhees Sideshow Statue that Dion has in his livingroom. 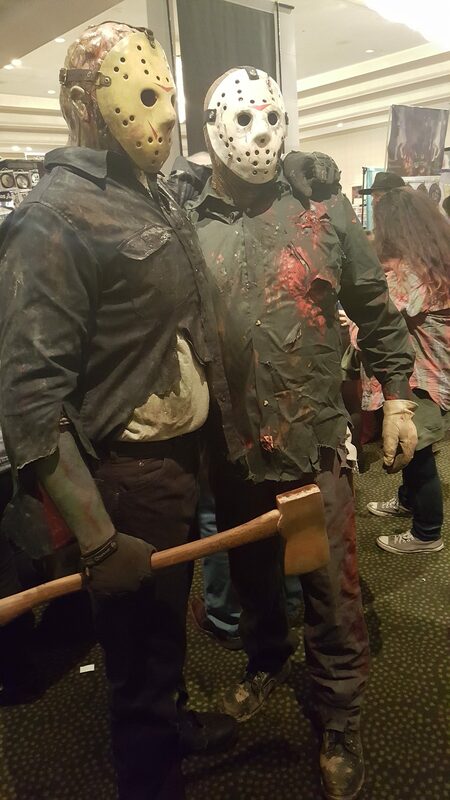 Check out two worlds colliding: Dion and Blake at Monstermania back in March of 2017, witnessing Jason meeting Jason! Well it’s that time of year again, when Dion Baia and J. Blake sit down and up their output to one-episode-a-week for the Halloween season. 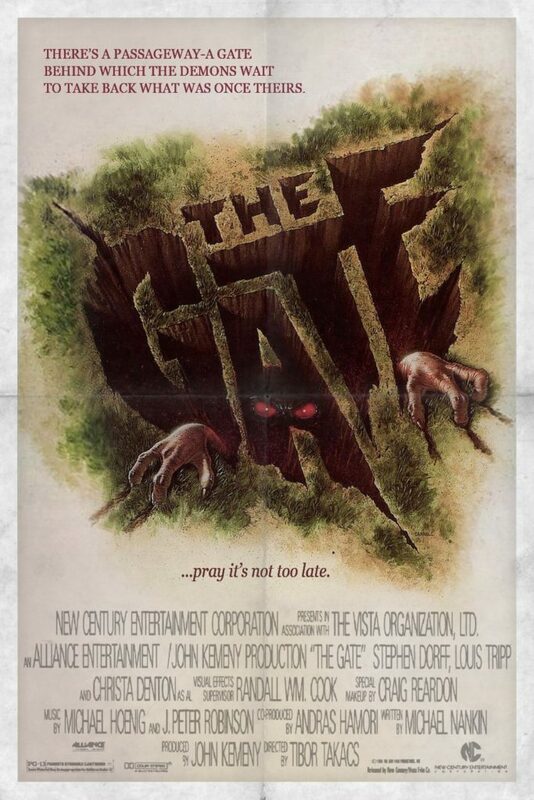 And for the 2017 Horror-extravaganza the boys are kicking the month off with an often-requested film by SNMS listeners, the absolute cult classic, The Gate, from 1987. The lads start off by reminiscing about their first childhood sleepovers in which they had friends attending; watching certain movies at a young age that they only learn the names of much years later in life; and the old idea from when we were all kids, that if you dig a hole deep enough, you’d make it to China– (remember that old myth?!) Blake and Dion then get down to business, discussing this horror classic. 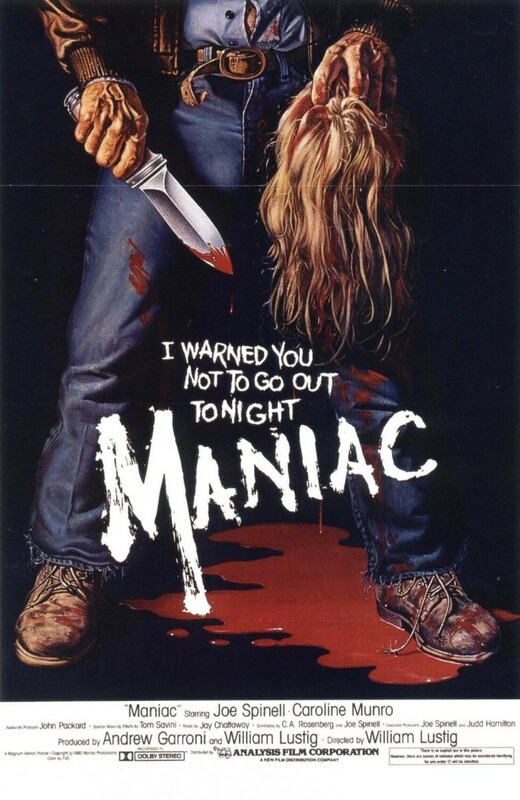 They chat about how the script got off the ground, shooting up in Canada, and how very early on it was decided to make this a horror movie specifically geared toward kids. 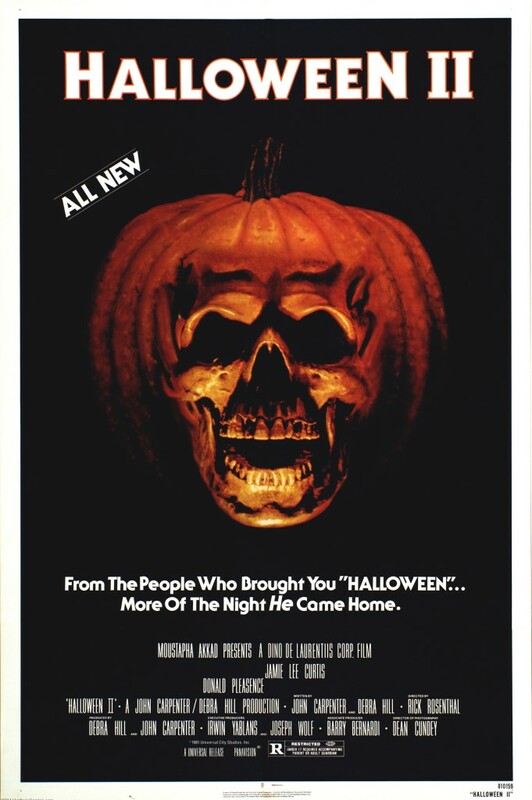 They get into the occultism phenomenon that swept the country and world in the 1970s and 80s, giving us subgenres of horror films (like this one), music, and even things aimed at children, like Ouija Board‘s that are still mass-produced by companies like Hasbro. The fellas also talk about the excellent Special Effects in the film, particularly the amazing use of Forced Perspective, which really helped sell the Minions’ interaction with the human cast. 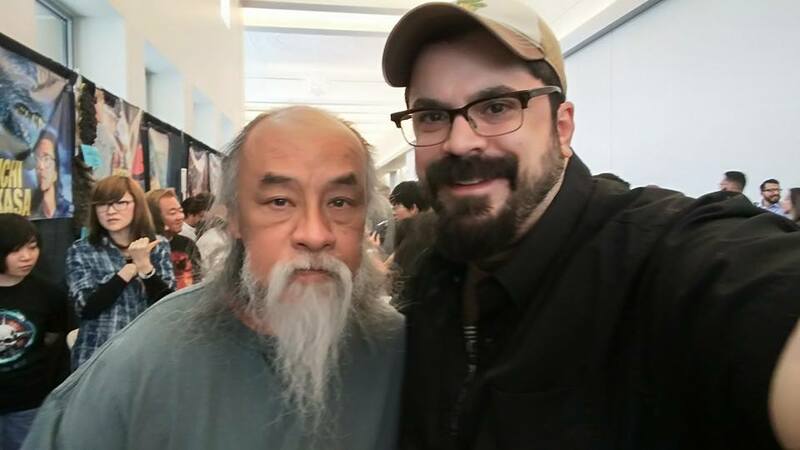 So, what film did SFX man Randall William Cook screen for the filmmakers to sell them on this ideas for the SFX in The Gate ? How do those Effects hold up today? In what direction does the sequel go? And what’s the story with the film’s costar, Louis Tripp, and his journey from moving to Austrialia and changing his name from “Twelve Twenty“, to now Baph Tripp and releasing music under the name x.a.o.s? Well, make sure you don’t accidently read any dubious LP cover art or crudely dispose of any recently deceased family pets in any bottomless pits in the backyard, cause the guys are back with an all new, Halloween edition of Saturday Night Movie Sleepovers! Check out the original trailer for The Gate ! Have a watch of a documentary called The GateKeepers, about the making-of The Gate! Check out this making-of about the SFX called, From Hell- The Creatures and Demons from the Gate ! Take a listen to Louis Tripp, aka Baphomet Tripp, aka x.a.o.s, and his song Big Daddy which was just released on YouTube. 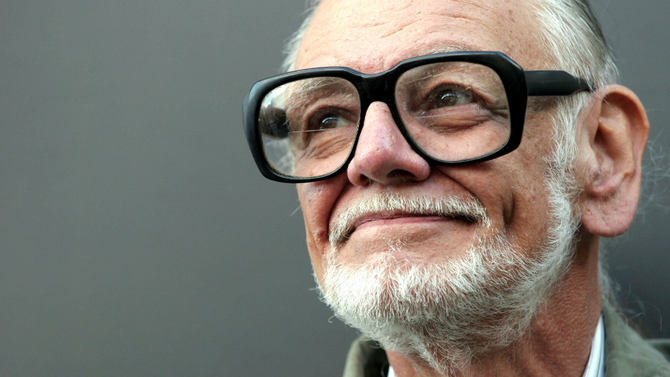 On Sunday July 16th, 2017 it was announced that filmmaker George A. Romero passed away. His debut film, NIGHT OF THE LIVING DEAD (1968), is arguably one of the most influential films of all time and his work, on the whole, means a great deal to us here at SATURDAY NIGHT MOVIE SLEEPOVERS. 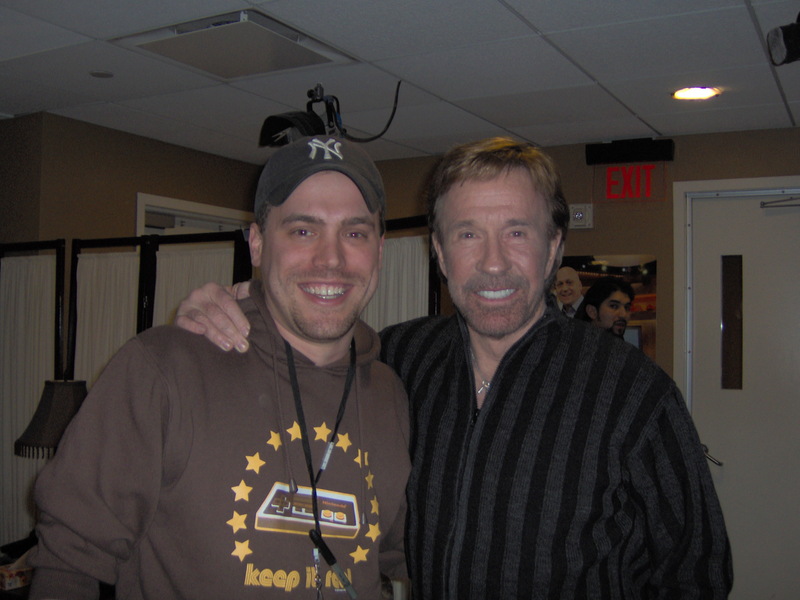 So out of respect to a master that gave us so much, today on this special impromptu SIDE-CAST, Dion & Blake pay tribute to an artist and filmmaker who had set out to make a cheap horror film and in the process changed the world forever…as well as the lives of two movie-loving podcasters, with a penchant for sleepovers. 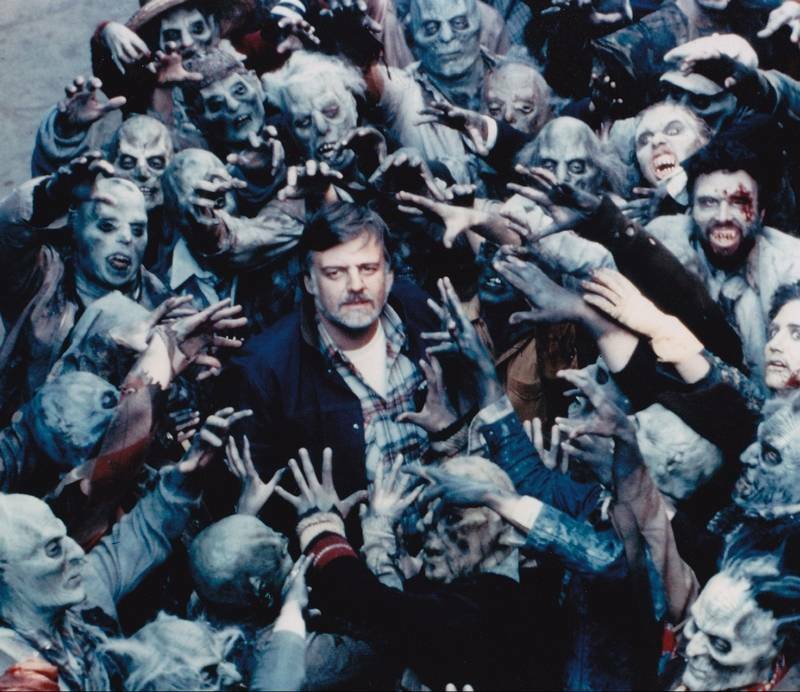 CLICK HERE to listen the episode of the WRONG REEL podcast, on which Blake discusses the work of George A. Romero. CLICK HERE to watch the George A. Romero section of Showtime‘s fantastic Bruce Campbell-hosted documentary titled MASTERS OF HORROR from 2002. CLICK HERE to watch the George A. Romero/Tom Savini episode of the 1989 British television documentary series SON OF THE INCREDIBLY STRANGE FILM SHOW. CLICK HERE to watch the original cut of the legendary behind-the-scenes documentary, DOCUMENT OF THE DEAD. A brand new addition to Saturday Night Movie Sleepovers rotation is the Podcast that started it all, Dion and Blake‘s Side-Cast. Originally airing on the sister site Podwits.com, the Side-Cast was the series that became the catalyst for what became SNMS. To showcase where it all began we are reissuing this series, highlighting the anthology podcast that covered a variety of topics, so that they can breath a second life, and because eventually it will be a new off-shoot of the regular SNMS Podcast, where brand new podcast content will be generated for SNMS website as well. To help get the word out about their new Podcast Saturday Night Movie Sleepovers, Dion and J. Blake sit down to recommend 10 horror films for the Halloween season that they feel may be overlooked or forgotten in today’s times. The boys attempt to compile a list of amazing fright films that may not be considered first choice picks, but are a necessity for ANY horror fan. Along with their podcast, the lads have also co-wrote a companion posting over at Saturday Sleepovers, giving another 10 (5 each) that they couldn’t fit into the podcast but felt remise if they didn’t include as well. So please go have a listen and then go over to Saturday Night Movie Sleepovers to see the written list. We hope you enjoy! This week around Dion Baia and J. Blake delve deep into the video store racks and bring out an absolute cult classic and a very personal favorite of theirs; a film which practically reinvigorated an entire genre in Italy, and lured in legions of soon-to-be horror and zombie fans… we of course are speaking of the Lucio Fulci classic, Zombie, from 1979. 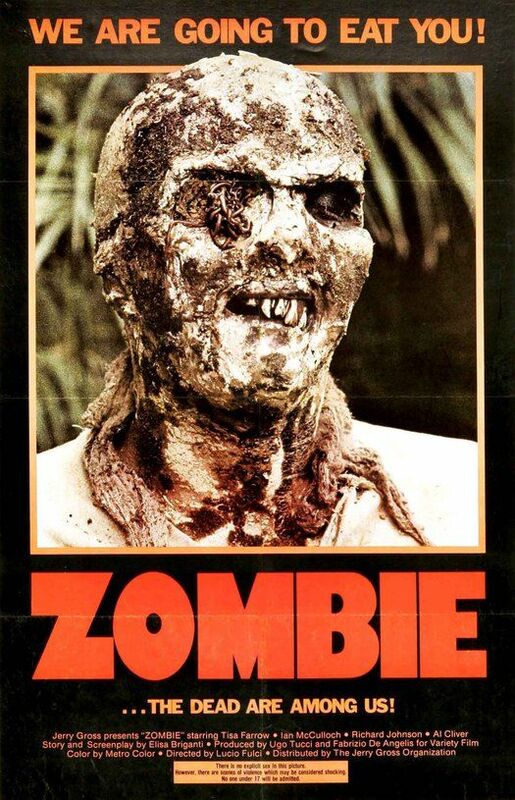 This film is known by many names: Zombie Fresh Eaters, Island of the Living Dead, Zombie Island, Zombie 2: The Dead Walk Among Us, Woodoo, and was officially released in Italy as Zombi 2. The boys breakdown the state of horror cinema in the 1970’s, giving a quick summary of the zombie genre leading up to 1979 and a history of Italian horror up to this point. 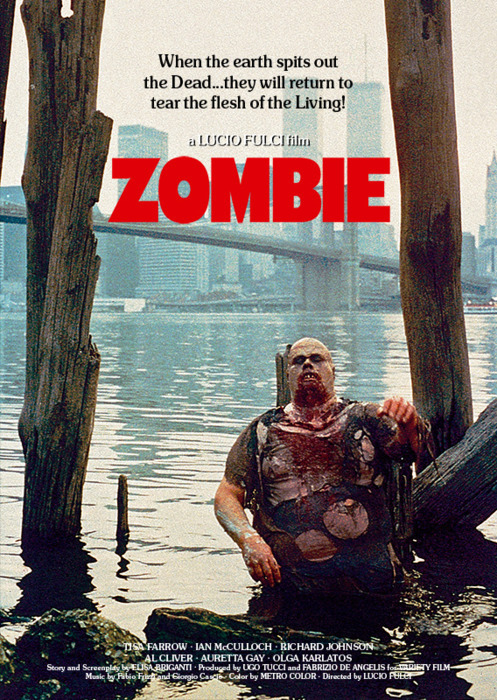 Why (and how) was this Fulci masterpiece actually released as a sequel to George A Romero‘s Dawn of the Dead? They discuss their love for Fulci, Italian horror cinema in general, and the fabulous Fabio Frizzi soundtrack. Dion and Blake also explain their shared journey of discovering this movie while in Film School. We’re dropping some knowledge in this week’s episode so come on down, grab a seat and take a listen to another exciting edition of Saturday Night Movie Sleepovers! And remember, FULCI LIVES! *And as an added bonus for our listeners this week, we’ve included our very first audio commentary for a film, so you can watch and follow right along with your friends, Blake and Dion. They may cover some of the same ground that they do in the podcast but this debut commentary lets the fellas stretch their legs, and go step by step and get into the nuts and bolts of the film, while having fun and spontaneously opining about their love of Fulci, horror films, and Italian babes- all in real-time with the movie. So let us know what you think and maybe we’ll do more down the road but remember, it’s our first attempt, so we’re still feeling it out. We hope you enjoy! 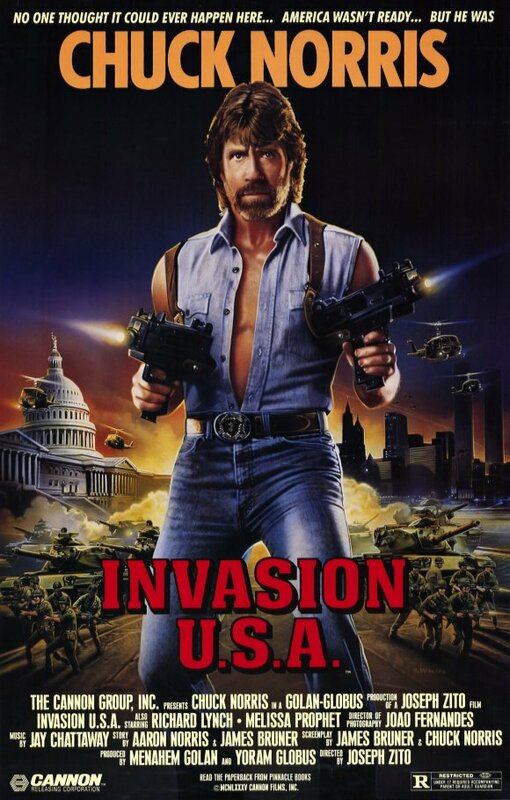 Here is the entire 1979 film, courtesy of YouTube! Take a peek at an alternate poster, which actually is a deleted/or lost scene from the film. This is the 2010 Windows 7 television commercial that featured the shark/zombie scene. 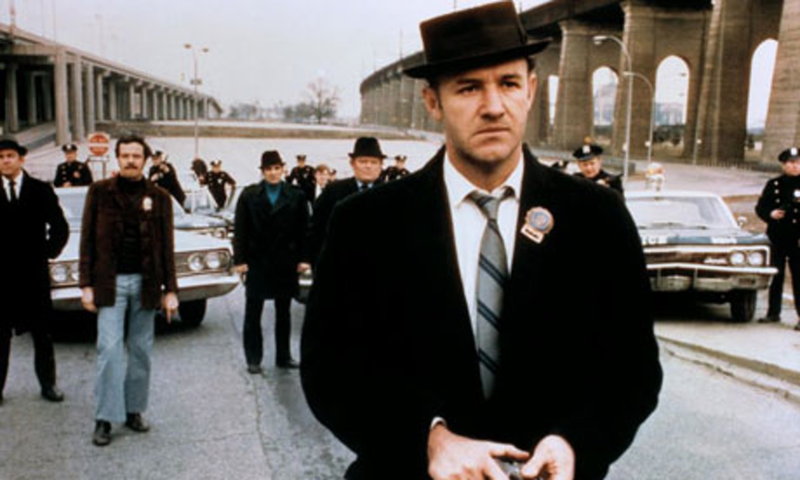 Blue Underground explains its 2K restoration process to get this film remastered and ready to be available on Blu Ray and DVD. 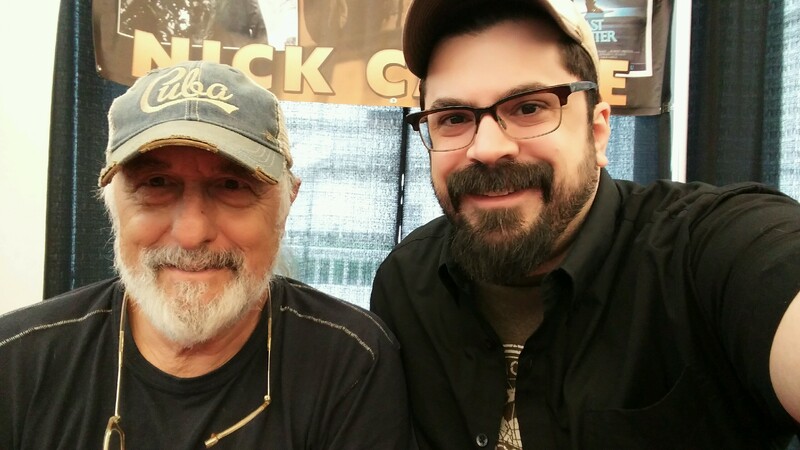 Check out Bill Lustig‘s thoughts on Fulci’s Zombie! 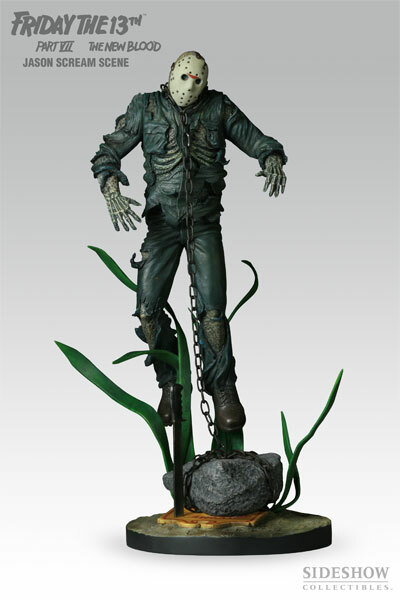 Here’s a peek at the 12″ Zombie Maquette Statue, courtesy of ArtofToys. The book about Quentin Tarantino that J. Blake refers to in the podcast was the first edition of “King Pulp: The Wild World of Quentin Tarantino” by Paul A. Woods.